This is the Steel City Blitz Three-Point Stance. Your quick-hitting reference guide to everything you need to know about the Steelers and Bengals in their week six match-up. It is sponsored by Nail the Number: The Fight Against Cancer. Last Week: The Bengals erased a 1-0 second half deficit to beat Miami 27-17. The Steelers rode big days from Antonio Brown, James Conner and T.J. Watt to beat the Falcons 41-17. TV Coverage in Your Area: Check out the506.com to see if the game is on in your area! What You Need to Know: Since 2010, the Steelers are 14-3 against the Bengals and have won eight of the last nine games in Paul Brown Stadium… Pittsburgh has won five straight in the series… Mike Tomlin is 10-2 all-time in Cincinnati… Ben Roethlisberger enters with a lifetime record of 12-2 in Cincy… Cam Heyward needs half a sack to become just the third defensive lineman in Steelers’ history to reach forty (sacks became official in 1982). What’s at Stake: The Steelers begin their trio of consecutive contests against their division counter-parts with a trip to the AFC North leading Bengals. 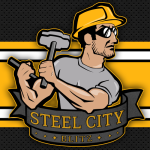 Considering the Steelers second half schedule, going 2-1 or 3-0 in the next three games is almost mandatory. A loss would drop them to 0-2-1 in the division and when the Steelers don’t do well in the AFC North they don’t typically make the playoffs. While not a must-win game it’s as close as it can get. All-Time Series: Steelers lead All-Time 60-35 and are 28-19 in Cincinnati. Own the Line of Scrimmage. The defensive front the Steelers will see on Sunday is a good one. Geno Atkins is tied for the league lead with six sacks and he’s an interior lineman who doesn’t seem to age. Carlos Dunlap and Michael Johnson are both tall and extremely long making throws difficult for Roethlisberger. David DeCastro and company must neutralize Atkins and part of the way you do that is by running the football. Teams have had some success doing that and the Steelers must follow up what they did last week. If Atkins and the rest of that front dictate play it will be a long day for the Steelers’ offense. Defensively, Cam Heyward and Stephon Tuitt must collapse the pocket around Andy Dalton. He has not traditionally played well against the Steelers and much of that has to do with interior pressure. Don’t Take the Bait. The Steelers return to Cincinnati for the first time since their teammate Ryan Shazier was carted off the field. There will be emotions running high because of it but Vontaze Burfict will also be looking for some modicum of revenge too. It was in the same game last year that JuJu Smith-Schuster sent Burfict to the locker room with a crushing block. While Pacman Jones is no longer there, other guys will no doubt take up in his absence and look to get into the heads of the Steelers. The Black and Gold must show restraint. They can’t afford to give up penalty yards to an offense that’s playing pretty well. Secondary Receivers Will Be the Difference. Antonio Brown and A.J. Green will be the focal points of the opposing defenses. That means for the Bengals, Tyler Boyd becomes huge and so far in 2018 he’s produced. 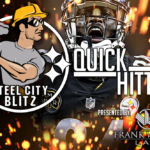 I expect the Steelers to have Joe Haden shadow Green as he did last week with Julio Jones so that means Artie Burns, Coty Sensabaugh and Mike Hilton have to take care of business on their ends. Boyd has been really good on third down and is more than willing to go over the middle. For the Steelers, JuJu Smith-Schuster is already no stranger to being the number one option when AB is double-teamed. But Vance McDonald and James Washington also need to be prepared to make plays that move the sticks. Whichever defense can do a better job of limiting these guys will take a big step forward in terms of winning. Tomlin needs to give the challenge flag to someone else. He just doesn’t know how to it , and almost cost us the game.